Organisations are facing an increasingly confusing mass of options when it comes to selecting a trusted cloud services provider. From traditional integrators offering backup services on top of their managed offerings to Information as a Service (IaaS) providers looking to specialise in business continuity and disaster recovery (DR) to the hyperscale public clouds – it’s clear they have their work cut out. To remove some of the complexity from this decision it is vital to have a clear understanding of the specific requirements around choosing cloud service providers that offer data backup, replication and recovery services, for both large enterprises and small-to-medium-size businesses. When choosing a cloud provider for backup services, it’s important to not only think about who to partner with but also what problem or requirement they will solve. 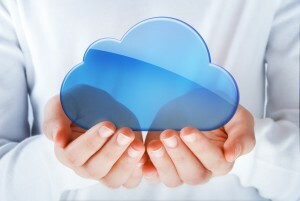 Longevity in the cloud service provider market is relative. Some providers have offered backup services for a number of years without question, but there is still a sense of immaturity that accompanies many offerings. This isn’t to say that the newer service providers haven’t designed and built robust, trustworthy services, but time and experience is worth its weight in gold in the cloud backup world. It’s therefore important to understand that a cloud service provider’s backup offerings generally get proven in times of crisis. In this situation experience counts, and the number of years that service providers have offered backup services should be taken into account. It is key to ask whether the service provider has overcome their learning curve to provide backup and DR services. Expertise is critical in trusting backup data to a service provider, in that it must be competent and provide insight into business continuity and DR services. This will ensure the provider can become an extension of your own IT department. Treat hiring your backup service provider the same way you would hiring competent staff, and consider whether you would trust them with handling the aftermath of a disaster. Insight, on the other hand, relates to the service provider’s understanding of a business’ individual needs and environment so they are equipped be that last-resort copy. Businesses generally choose specialised backup service providers, or one that uses traditionally on-premises backup software that’s evolved into service provider offerings. There are various offerings available in the cloud backup world, with services ranging from basic Storage as a Service (STaaS), Backup as a Service (BaaS), Replication as a Service (RaaS) and Disaster Recovery as a Service (DRaaS). But it’s important to understand that it’s rare for any one cloud provider to have offer all of these, which necessitates digging deeper into the cloud provider’s offering to see if management and monitoring are included with their services. Self-managed versus managed is a big factor in choosing a cloud backup provider and expands on the previous points regarding expertise. Since the chosen provider will be an extension of your IT department, you must either select one that doesn’t have any backup or recovery management — meaning your staff will still need to be hands-on and end-to-end in terms of monitoring and recoverability — or that offers managed services that add value and insight to the solution. It is important to understand that you are not just choosing a service or a set of services. You are hiring a smart team of people to manage, monitor and keep that service running — like a leveraged help desk. Some businesses will outsource the service end-to-end, while others will mix and match between offerings. Ultimately, you are still responsible for the recovery of data, and you still own the data protection and recovery strategy, regardless of whether it’s BaaS, RaaS or DRaaS. Companies are increasingly intolerant to downtime. Two thirds of businesses translate downtime tolerance to mean that their service provider will be able to restore from a caching appliance or replica copy, and that it’s available for them to power on and access data. Specifically, DR functionality behind Virtual Machine (VM) recoverability means considering cloud service providers that have the ability to restart VMs in the cloud. Taking that a step further, question whether they can restore VMs without restoring the full data set, and if they have preconfigured workflows to recover data quickly with the ability to sandbox or test applications and workloads. Downtime tolerance links back to the type of offering, as each one will dictate the recovery time objective. It is important to be extremely mindful of this, as it can mean the difference between a DR strategy that succeeds or fails. Choosing the right cloud backup service provider is an important part of forming a complete cloud strategy, and requires all the facts. Each service provider offers something different, but ultimately they need to suit your specific needs. Just remember that your service provider is your last-resort copy when disaster strikes.